Maarcos, Miss Nine, Beltek, First State ft. Fenja, Dart Rayne & Yura Moonlight and Sarah Lynn and more. "Corsten’s Countdown” is a weekly interactive radio show hosted by Dutch DJ / producer Ferry Corsten. 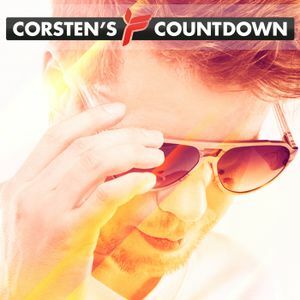 In “Corsten’s Countdown”, Ferry Corsten introduces the best and latest dance tracks. The listeners can vote for their favourite track, right after each show. The 3 tracks with the most votes, will be played again the week after in the "Corsten&apos;s Countdown Top 3". Want to check out previous Corsten’s Countdown episodes on Spotify? Or download the free weekly Corsten&apos;s Countdown podcast on iTunes!